For those who have the misfortune to suffer from hay fever, treating hay fever with natural plant extracts may be preferred to medications. Although there are many medications available that work well to relieve symptoms of hay fever, some people may find that plant extracts provide comparable relief with fewer side effects. In a recent clinical study, researchers found that a specific plant extract could effectively fight hay fever symptoms. Not only that, but the plant extract worked even better than the common histamine receptor antagonists. Patients found that their allergy symptoms were successfully relieved and more so than common antihistamine medications. Antihistamine medications have been around for many years. Typically, they have been a top choice for hay fever sufferers as a way to reduce their symptoms. In this recent study, researchers used a double-blind, randomised approach to ensure accuracy of the study results. This type of study is considered the ‘gold standard’ of studies as it removes biases. Although antihistamines are highly effective for many people, their side effects are not always tolerable. Some people will never experience them while others find they ease off as they continue using them. Still others, however, cannot tolerate the medication. For such people, they may experience drowsiness, dry mouth, blurred vision, nausea or gastrointestinal problems such as vomiting or diarrhoea. More rarely, a person can experience serious problems such as a blood or liver disorders, depression or an allergic reaction. A plant extract known as Ze 339 – or petasol butenoate complex – helped to bring down swelling in the tissues of the nose much quicker and more successfully than antihistamine medication. 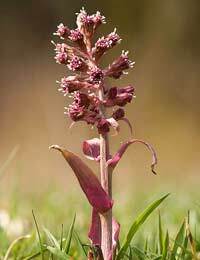 It is commonly known as butterbur. Of special interest is that despite the study testing the plant extract in active cases of hay fever, there is also data to suggest that it can work preventatively. Butterbur is a shrub that can usually be found quite easily in Europe and some areas in North America and Asia. Its medicinal use has been touted throughout history for many ailments – from fevers to coughs. It has been used topically for skin problems and orally for many other health conditions. The plant can be prepared for use from numerous parts such as the roots and leaves. This would mean that patients could help to prevent hay fever symptoms in the first place. Where they do still occur, the plant extract could provide stronger and faster relief than some traditional hay fever medications. Although the plant extract has only been approved in a couple of countries thus far, it is hoped it will soon be available to those in Britain and other countries around the world. A study that was performed a number of years ago in Europe showed similar results to the newer, more robust study done on the plant. The study was a smaller one but still showed that butterbur was successful in treating hay fever. In fact, like the recent study, it was as effective as antihistamines for treating hay fever. This study was essentially a starting point for the recent study. Patients in the study were given either tablets made from butterbur extract or a frequently taken antihistamine. Although both of the treatments provided relief, patients felt more drowsiness on the antihistamine, despite it being one that wasn’t meant to have a sedative effect. Both studies have concluded that a benefit to the plant option is that some patients simply cannot tolerate antihistamines and other medications. While these medications can be highly effective for many adults, for others they may be ineffective or the side effects such as drowsiness may not be tolerable. For instance, taxi drivers and those working in jobs requiring concentration, particularly with reference to safety, need non-drowsy alternatives. As with any medication, however, a plant extract still warrants caution. Since it contains an active, effective ingredient, it still has the potential to interact with other drugs that a person may be taking. It should only be taken under the guidance of a physician. Today, there are more options than ever for hay fever sufferers. Whether you choose medications or a plant extract such as butterbur, be sure to talk to your doctor about the best treatment for you needs. Hopefully, you can enjoy the outdoors without the stress of hay fever symptoms.